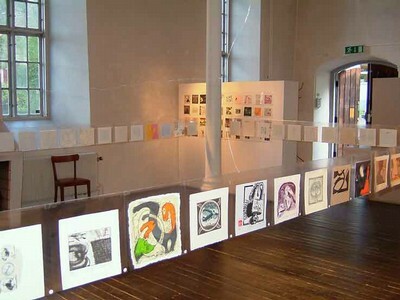 300 artists from 20 different countries in five continents participates in this printmaking project which has “Two” as a theme. A unique collection of prints we are hapåpy to be able to show in Boras. The initiative was taken by Presse Papier (A printmaking workshop and gallery similar to Algarden) situated in Quebec, Canada. The Swedish prints have been collected by Algarden and sent to Canada. In Canada Presse Papier recieved prints from all 20 countries repacked them and sent back 20 exhibitions which are now showed worldwide.